/ Big Bazaar Get Flat Rs. 500 Off On The Luggage! Big Bazaar - Get FLAT Rs. 500 off on the Luggage! Get FLAT Rs. 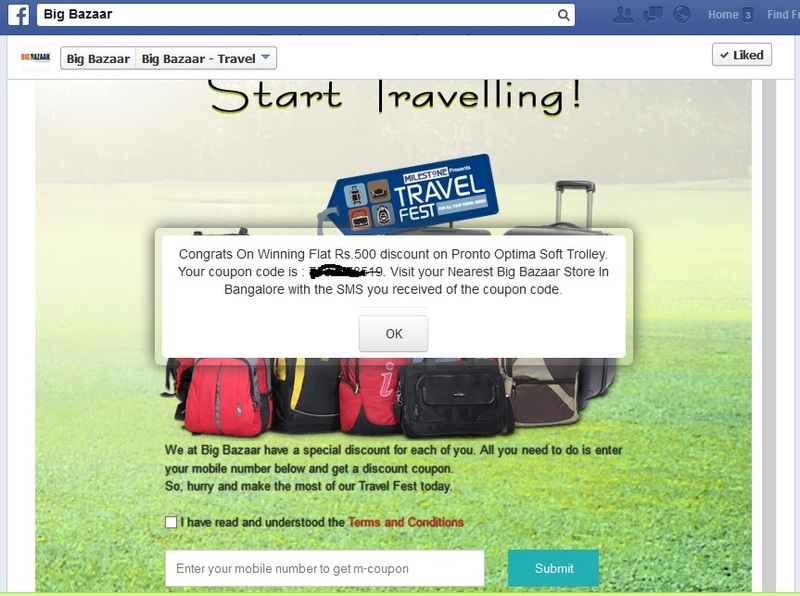 500 off on the Luggage Collection at Big Bazaar. My number is in bangalore…may be that’s why..